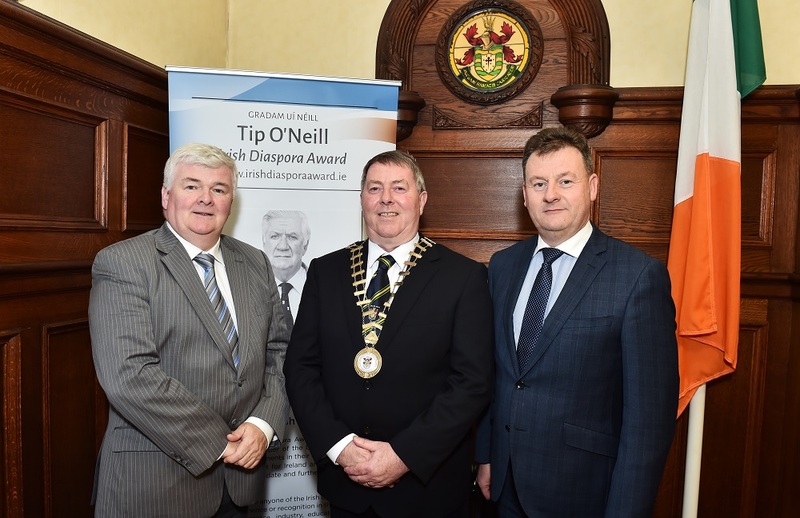 Donegal County Council is delighted to announce the official opening of the Tip O’Neill Irish Diaspora Awards nomination process for 2019. 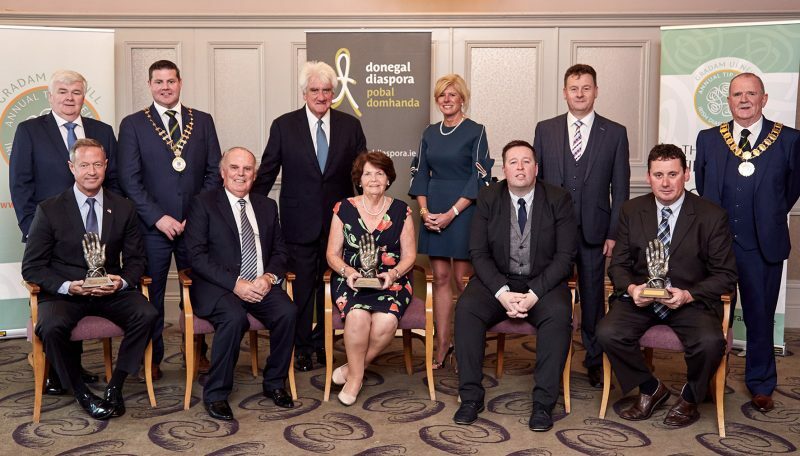 The Awards ceremony which is held annually in Donegal, an initiative of the broader Diaspora project, has become a highlight of Donegal County Council’s calendar of events. 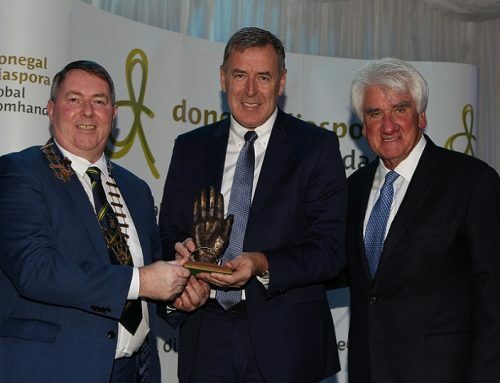 The Award is presented on an annual basis to a group or individual who has achieved prominence or recognition in the area of business, commerce, industry, education, politics, finance or sport. 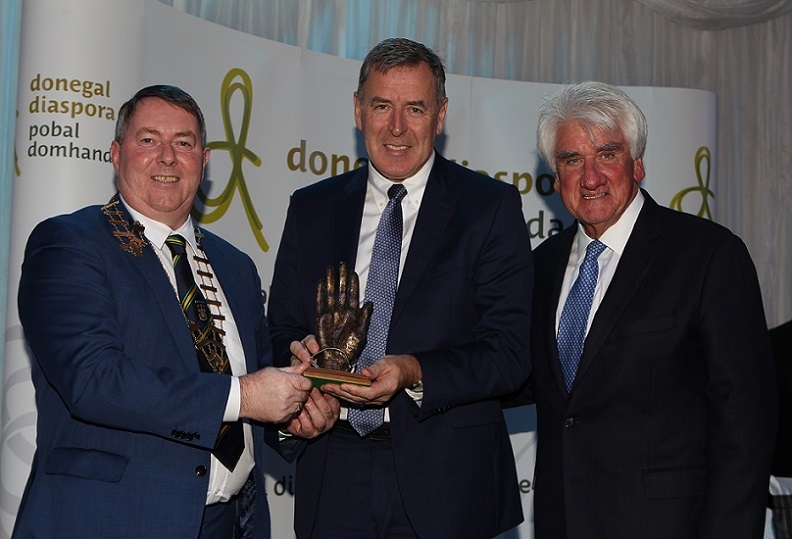 Over 220 guests attended the 2018 gala Tip O’Neill Irish Diaspora Award ceremony in the Inishowen Gateway Hotel to honour this year’s worthy recipients; Boston based Homes of Donegal fundraising committee, former Governor of Maryland Martin O’Malley and professional golfer and sports commentator Paul McGinley. This prestigious award, which was first established in 2012 to mark the centenary of the great American politician Tip O’Neill whose maternal grandparents hailed from Inishowen in Donegal, is presented annually by Donegal County Council to members of the Irish diaspora who have made a remarkable contribution in their chosen field and for their interest in and support for Ireland and it’s diaspora. 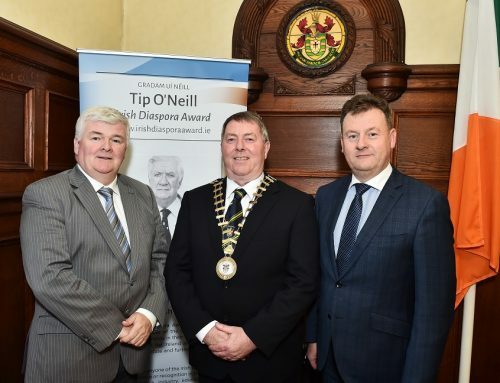 Tom O’Neill, on behalf of the O’Neill family congratulated each of the award recipients and spoke of their achievements and outstanding contributions to each of their respective communities. 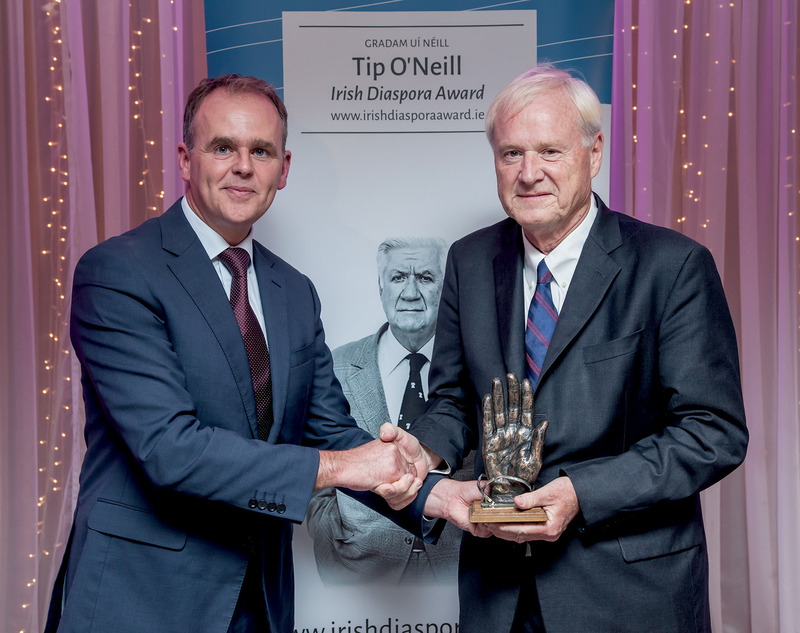 Tom believes that they epitomise all that is great about our diaspora saying that it is not just about leaving and coming back, it is about giving back and each of these recipients ‘give back’ every day. 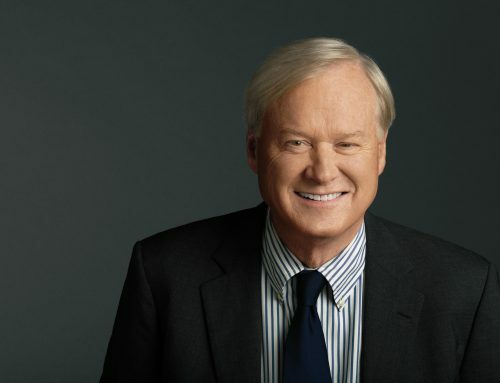 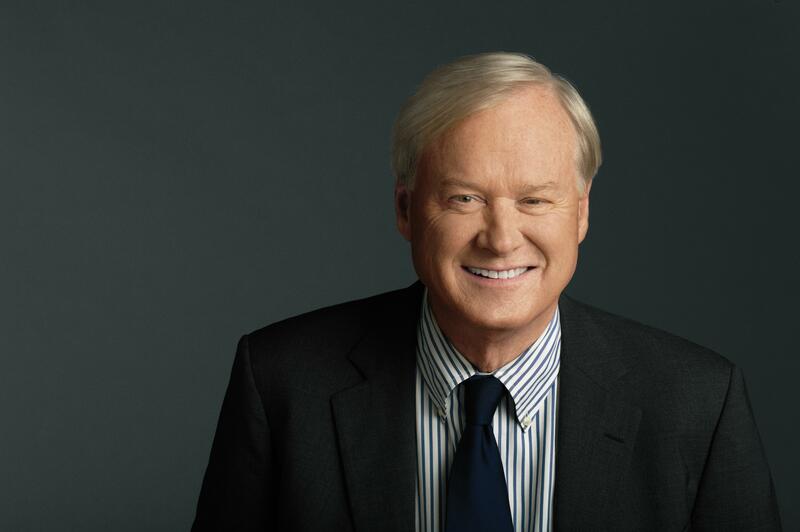 I would encourage you to nominate individuals or groups that you believe have excelled in their chosen field and deserve recognition for their achievements.